Started by metmike - April 10, 2019, 7:11 p.m. There are some real serious crisis's going on being ignored, shown with the irrefutable evidence in the posts below. 2. 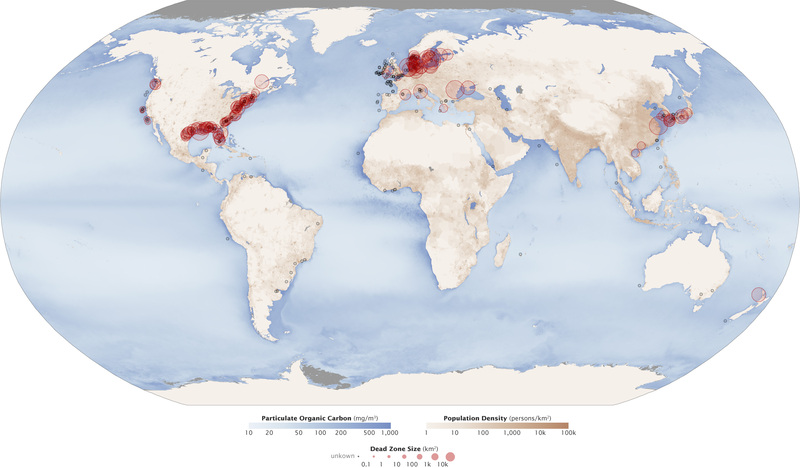 Massive dead zones from agricultural runoff affect the oceans and lakes around the planet. 3. Underground aquifers that supply vital water to 1.5 billion people are being sucked dry with some of it wasted for environmentally toxic endeavors. 4. Many trillions of pieces of plastic are collecting in the oceans and the rate of increase is accelerating........as all the attention goes towards fighting the fake climate crisis. The environmentalists don't know the difference between the authentic environmental crisis's and the hoax(manufactured) climate crisis. The non environmentalists, realizing that one is a manufactured hoax, assume the other ones are too......if they even hear or read about the other ones because the real ones hardly get much attention. Almost all of the energy, money, resources, advertising and media attention is being diverted to the manufactured crisis/hoax because it has such a profound ability for influence in the world of politics, power, money, attention, scientific funding and ratings. Started by metmike - April 6, 2019, 2:11 a.m.
Are you sure you want to delete this post: The real environmental crisis's? By metmike - April 10, 2019, 7:14 p.m. 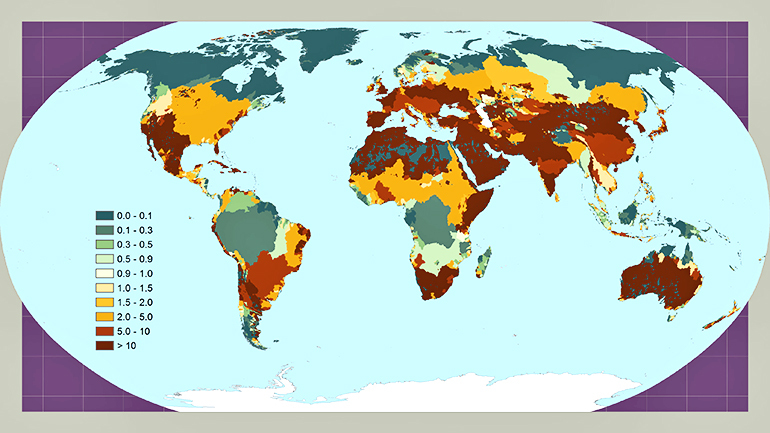 Massive dead zones around the world from agricultural activity(water pollution). This area below is the DEAD ZONE where runoff from the Mississippi goes. Though essential to plant growth and a key trace element of many organisms, an overabundance of phosphorus in river basins can cultivate algae blooms in freshwater gulfs and lakes that those rivers feed. The eventual decomposition of the algae consumes vast amounts of oxygen, creating so-called dead zones that choke out marine life. A dead zone the size of New Jersey occupies the Gulf of Mexico. Are you sure you want to delete this post: Re: The real environmental crisis's? By metmike - April 10, 2019, 7:16 p.m. Pumped dry-the Global CRISIS of vanishing ground water! "In places around the world, supplies of groundwater are rapidly vanishing. As aquifers decline and wells begin to go dry, people are being forced to confront a growing crisis." Are you sure you want to delete this post: Re: Re: The real environmental crisis's? "The billions upon billions of items of plastic waste choking our oceans, lakes, and rivers and piling up on land is more than unsightly and harmful to plants and wildlife. The following 10 facts shed light on how plastic is proving dangerous to our planet, health, and wildlife. To learn more about the threat and impact of plastic pollution and to get tips to reduce your plastic consumption, download our Plastic Pollution Primer and Toolkit today!" "In the first decade of this century, we made more plastic than all the plastic in history up to the year 2000. And every year, billions of pounds of more plastic end up in the world's oceans. Studies estimate there are now 15–51 trillion pieces of plastic in the world's oceans — from the equator to the poles, from Arctic ice sheets to the sea floor. Not one square mile of surface ocean anywhere on earth is free of plastic pollution. The problem is growing into a crisis." Are you sure you want to delete this post: Re: Re: Re: The real environmental crisis's? By metmike - April 10, 2019, 7:32 p.m.
Al Gore and the Intergovernmental Panel on Climate Change were awarded the Nobel Peace prize...........12 years ago for sounding the alarm on the climate crisis. Gore made some extreme predictions then for the decade which followed, that were not as extreme as AOC's insane planet destroying predictions today for 12 years from now. "The Nobel Peace Prize for 2007 was awarded to the Intergovernmental Panel on Climate Change (IPCC) and former US Vice President Al Gore for their efforts to obtain and disseminate information about the climate challenge. In Gore's case, certainly, the award was grounded in his tireless campaign to put the climate crisis on the political agenda." By metmike - April 10, 2019, 7:34 p.m.
Gore, made the polar bear the global warming mascot in 2007 because of melting ice in the Artic and told us that they were threatened with extinction because of global warming. Since then, polar bear numbers have been increasing...........by around 25% since 2005! By metmike - April 10, 2019, 7:36 p.m. The global temperature has continued to warm slightly and beneficially( up just over 0.1 Deg. C since then) This is part of the reason that the last 40 years have featured the best weather and climate in the last 1,000 years, for life on this planet, the last time that it was this warm, during the Medieval WARM Period. The last 12 years have continued on that beneficial path for life and the planet......with regards to the weather, climate and CO2 levels only............those things that you've been told were bad.........have all been very good to life. By metmike - April 10, 2019, 7:38 p.m.
Sea levels have been rising at just over an 1 inch/decade for the last 150 years. This has continued. By metmike - April 10, 2019, 7:39 p.m.
Gore said that Arctic sea ice would be gone in the Summers, starting in 2013. Instead, Arctic sea ice bottomed in 2012, never even close to being all gone and is actually a bit higher right now. Gore said that global drought would increase. 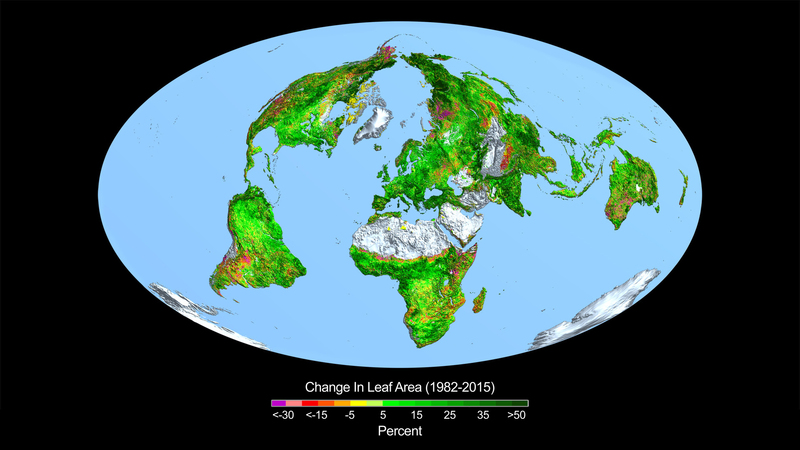 Instead the planet has continued to green up. Not just a little greening in a few places.........a massive amount of greening in many places. Enough to make the forecasts from 12 years, completely wrong by a wide margin! Are you sure you want to delete this post: Re: Re: Re: Re: The real environmental crisis's? By metmike - April 10, 2019, 7:41 p.m.
Crops were supposed to be adversely effected. Instead the complete opposite happened. Crop yields and world food production have been smashing records. Not in spite of climate change but BECAUSE of it's massive benefits. CO2 fertilization is adding 25% more to our crops because of the increase from 280 parts per million to 408 ppm. The US Cornbelt, the highest producing crop region in the world has had only 1 major, widespread drought in the last 3 decades(2012, with the previous one being in 1988), when historically, prior to this climate change, the average was to have 3 times as many droughts. Anybody ever read history............Dust Bowl decade of the 1930's! Temperatures across the United States. By metmike - April 10, 2019, 7:43 p.m.
1. 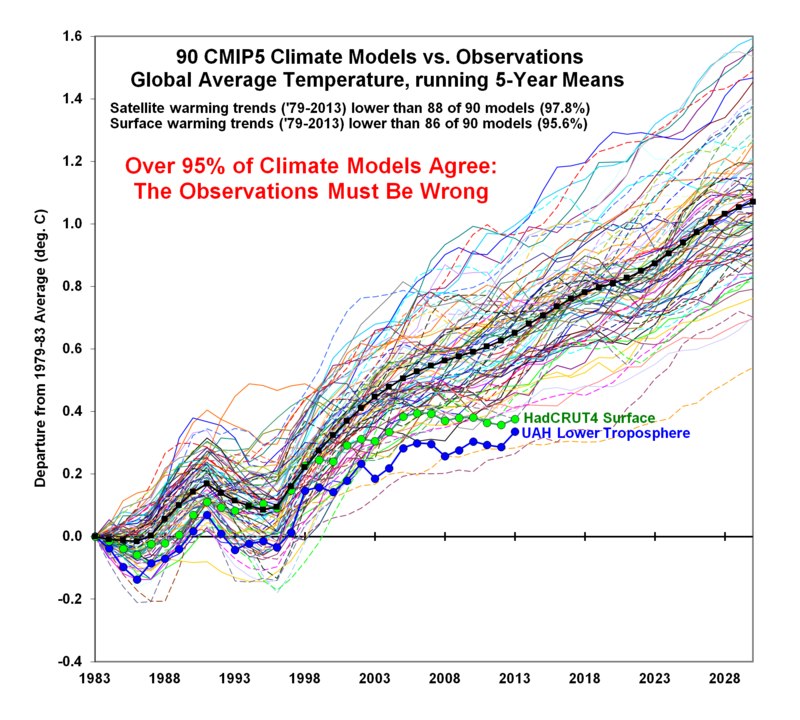 Global temperatures will likely continue to go up at around the same rate and be +0.11 deg. C 1/10th of 1 deg. C warmer..........beneficial to most life in 2030. 2. Sea levels will likely be just over 1 inch higher in 2030. 3. The planet will likely have greened up even more from the atmospheric fertilization/benefits of warming in 2030. 4. 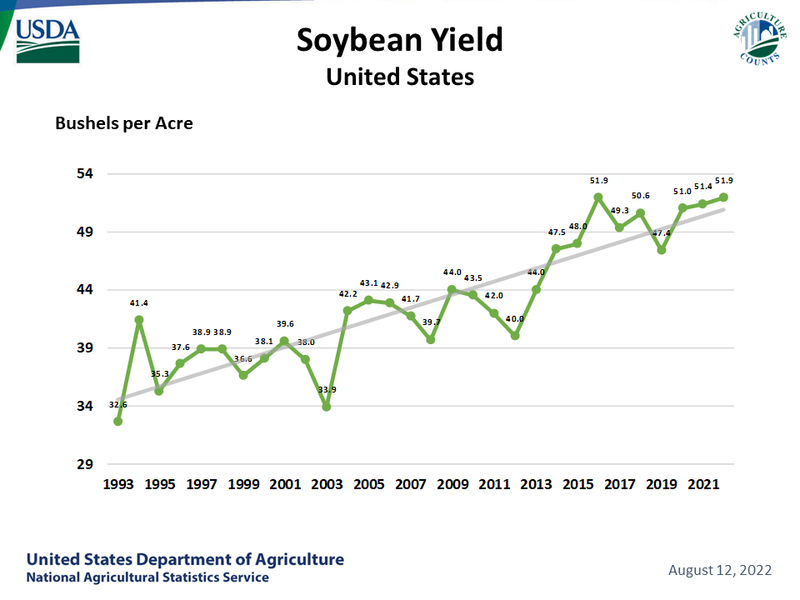 Crop yields will likely be even higher in 2030. 5. Global drought will likely be around the same or slightly less in 2030. 6. 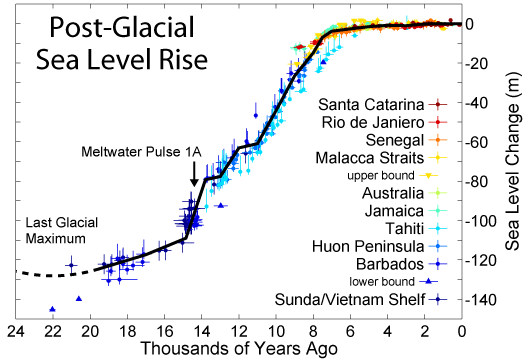 The weather will not be more extreme and the climate will have continued on the path towards another climate optimum but still not as warm as the Holocene Climate Optimum of 5,000+ years ago that was warmer than this. By metmike - April 10, 2019, 7:56 p.m. They may be the most exteme but the mainstream media gushes the junk climate science out everytime we have an extreme weather event(which has all been part of normal, expected extreme weather). The scientific papers/studies that totally contradict the reality of our world are mind boggling. The crisis is entirely based, 100% based on computers programmed to simulate the atmosphere for the next 100 years based on a speculative theory that's been busting badly in real time..............but the political agenda(global socialism via the Climate Accord) and scientists careers/reputations and funding and carbon tax potential all need the theory to be right...........so the wonderful benefits to life and this planet from recent climate change are hidden and models programmed for disaster are used as (fake)evidence to manufacture the future crisis. By metmike - April 10, 2019, 8:05 p.m.
3. Underground aquifers that supply vital water to 1.5 billion people are being depleted rapidly with some of it wasted for environmentally toxic endeavors. The above 4 items are killing real life on this real planet and/or seriously threatening humans in the future.......even as beneficially increasing CO2 and beneficial climate change help to offset some of that damage. This sounds strange because you have been told the opposite of the truth so many times and for so long that the lies and manufactured reality.......a fake climate reality has deep roots in, what you think is your understanding of this subject. Send this to everybody you know to shed the light of truth on the darkness of scientific, environmental, energy policy and political deceit! By metmike - April 11, 2019, 4:11 p.m.